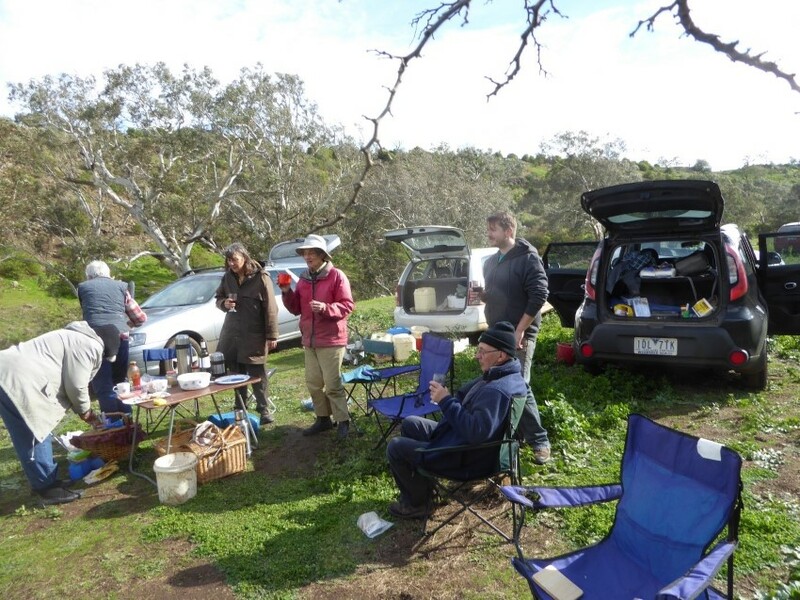 On 27th July members of PLEG & visitors planted at Pinkerton Flat, at the site of the old Pinkerton homestead, beside the Werribee River. The home site is marked by several very old Robinia trees. 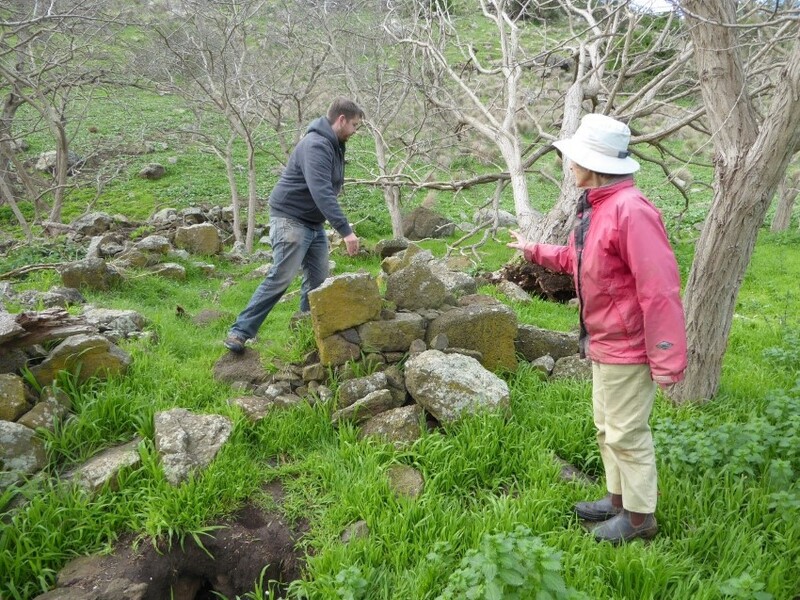 Most of the bluestone has been removed from the old house over many years for the building of stone walls along the river flats so the walls are now little more than knee high. 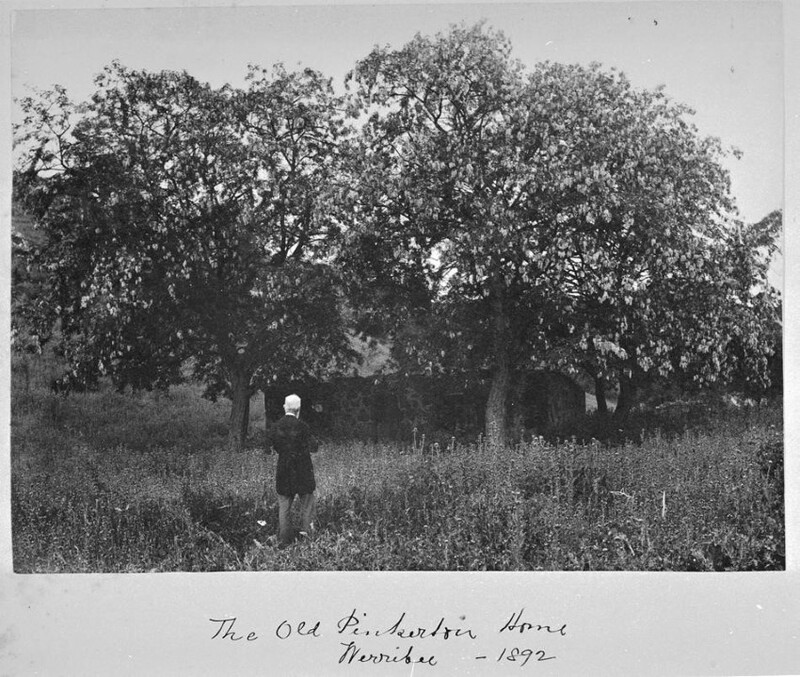 An old photo shows the house in 1892. The roof had been removed even at this early date. The Robinias around the homestead itself retained for heritage purposes as they were planted here by the Pinkerton family. 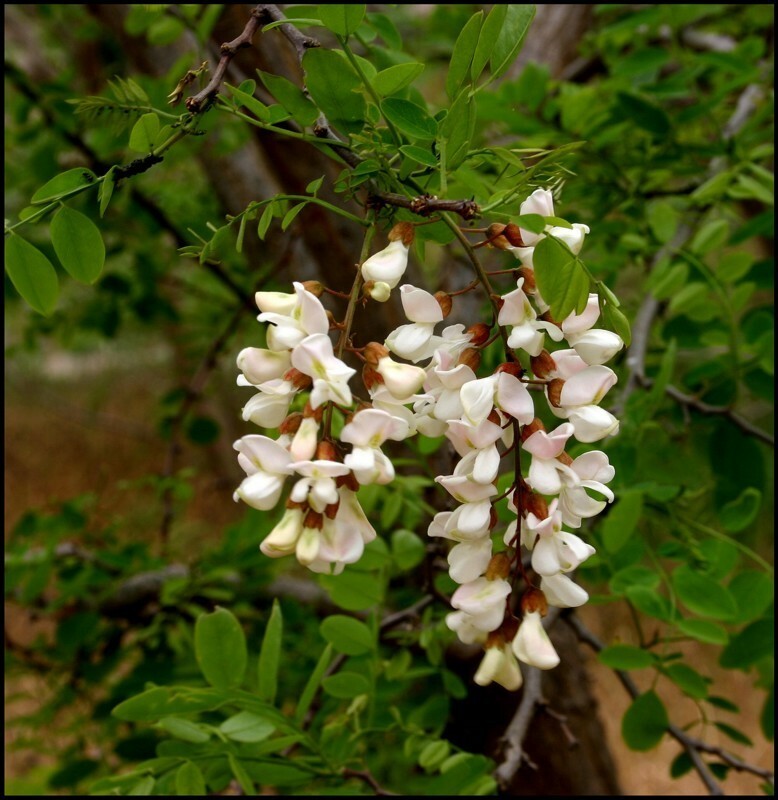 They are bare during the colder months but in springtime they will burst into life with lush green compound leaves and long racemes of ivory coloured flowers. They are also quite ferociously armed with long sharp spines, somewhat like large rose thorns! Those trees that had spread to the riverside were either felled, ringbarked or poisoned. 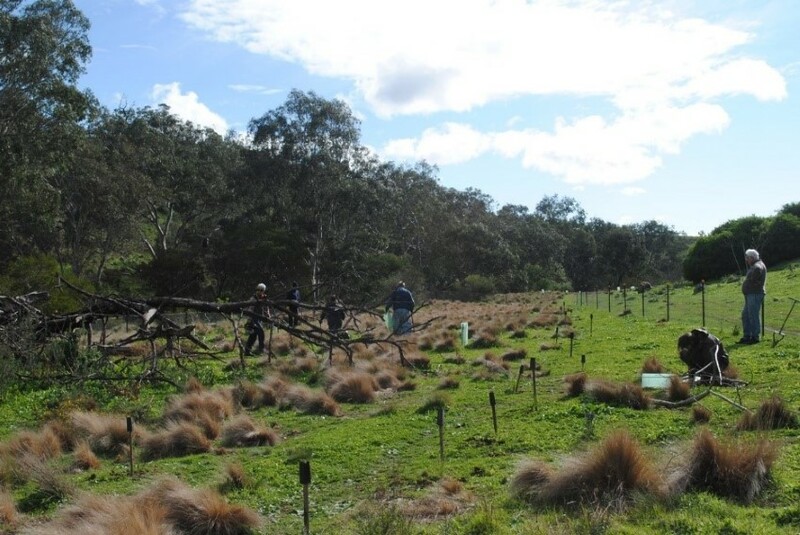 Over the period of about 170 years since they had been planted here they have only spread less than 100 metres, so their capacity to spread and become woody weeds appears not great. 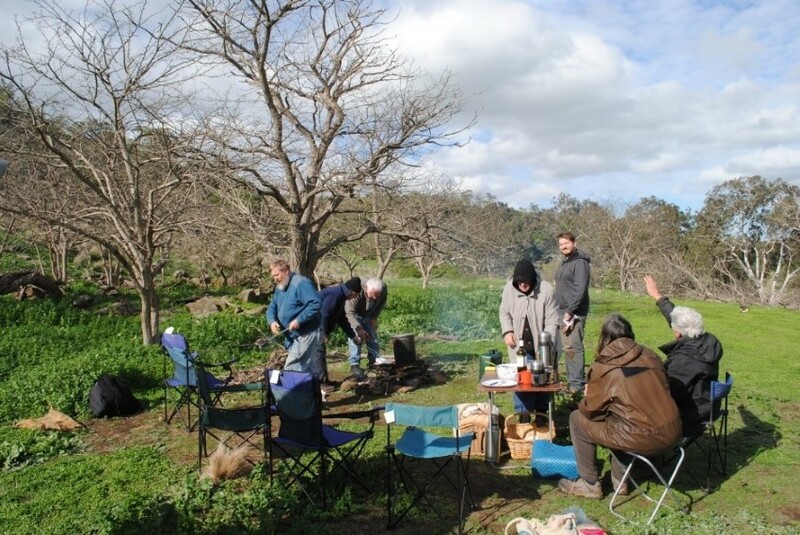 However, those that had spread away the homestead were removed to prevent further spreading. 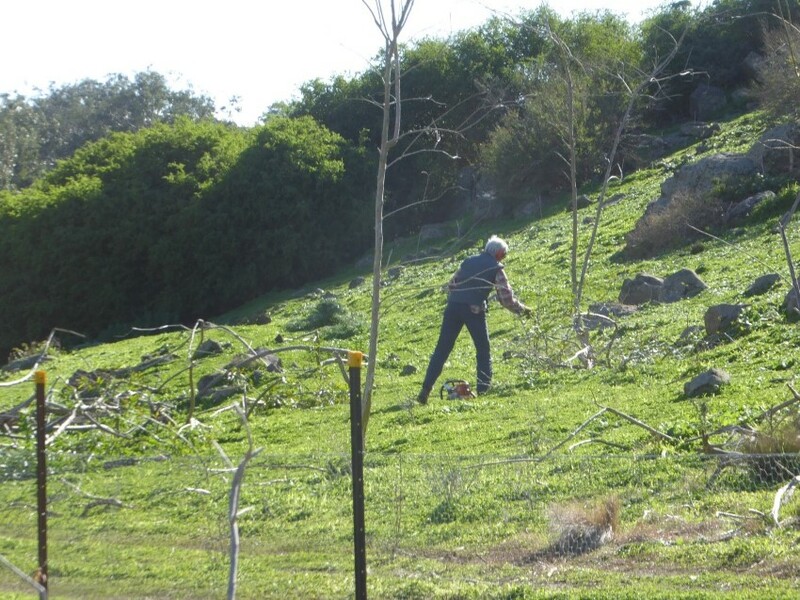 Numerous exotic Tobacco Trees were also cut. The felled trees were dragged along the river flat as wildlife habitat. 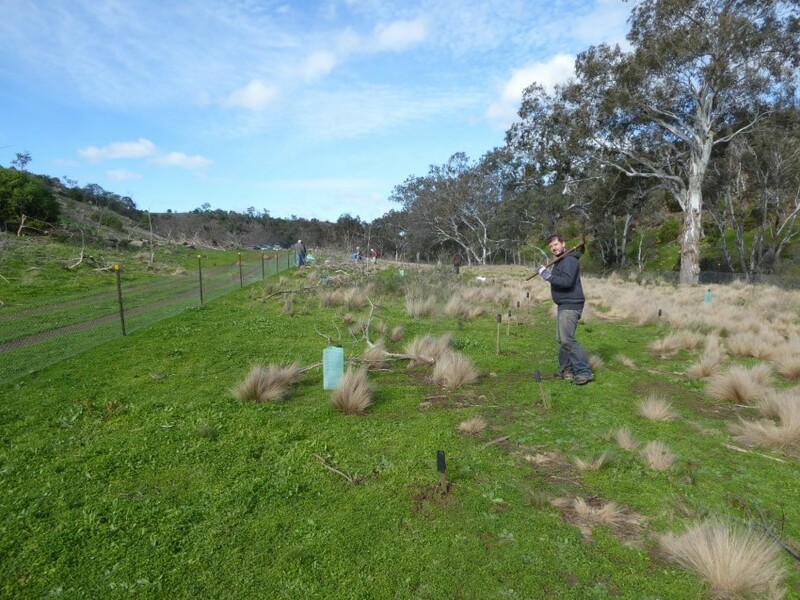 We planted Red Gums, wattles and Poa grasses, many of these inside the newly erected rabbit- proof area. 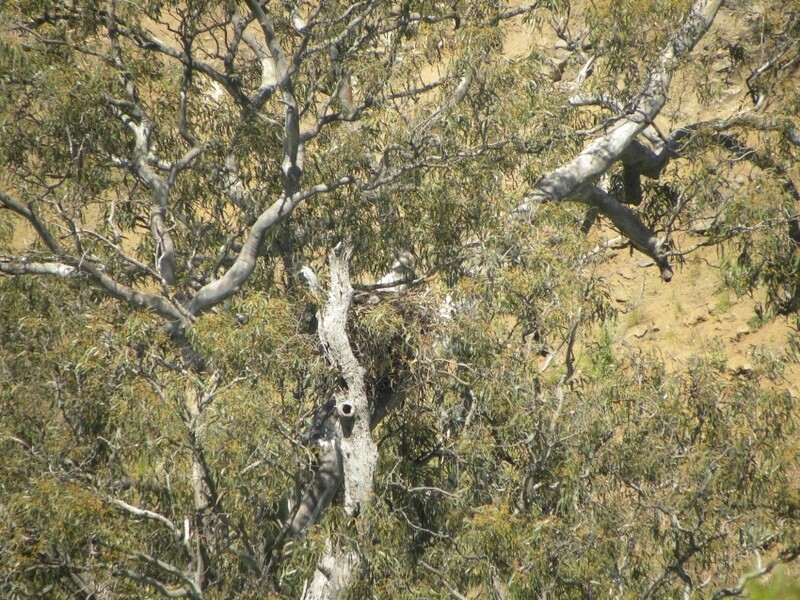 In a very old Red Gum tree, beside the Werribee River & overlooking the old homestead was a large wedge-tailed eagle nest. This was last used two years ago. 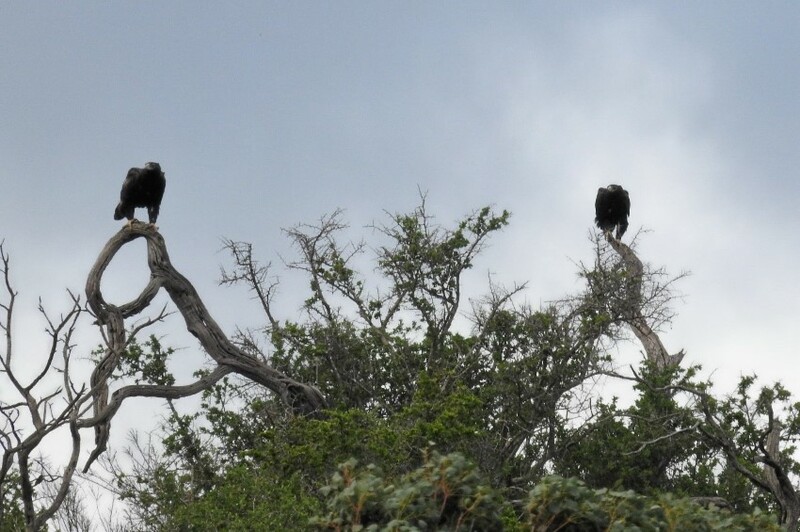 As we worked a pair of eagles watched us for most of the time, perched atop the escarpment. They looked as though they owned the valley so perhaps we may see them breeding here again this year.